The Achieve Escambia Leadership Council aligns resources, engages in action and dialogue, and champions the work of the partnership throughout our community. As Market Vice President for Cox’s Southeast Region, David Deliman oversees day-to-day operations and serves as an advocate for customers, employees and Cox in the community. David joined Cox in 2004 and has served in numerous positions at both the field and corporate levels. Prior to assuming his current role in February 2016, David oversaw external communications for the Southeast Region; worked in broadcast journalism for nearly a decade; was a reporter in both Panama City and Pensacola; and led the day-to-day operations of the newsroom at WEAR-TV (ABC-Pensacola) as the station’s managing editor. David is a graduate of the University of Florida’s College of Journalism and Communications. David and Cox are proud to be involved in Achieve Escambia, as Cox believes strongly in investing in programs to advance educational systems in the markets it serves. Carlton Ulmer is President and Chief Executive Officer for West Florida Healthcare. Carlton began his career with HCA in 2001 at Tulane University Hospital & Clinic in New Orleans. He later served as the Chief Operating Officer at Parkridge Medical Center in Chattanooga, Tennessee and Redmond Regional Medical Center in Rome, Georgia. Prior to coming to West Florida Healthcare Carlton served as President and CEO of Gulf Coast Regional Medical Center in Panama City. Carlton has served on many agency boards in the communities in which he has resided, as well as supporting multiple charities. Brian is a Pensacola native who graduated from the University of West Florida and then immediately relocated to Tampa to pursue his professional IT career with PricewaterhouseCoopers (PwC). While at PwC, Brian managed several operations and quality control teams. He also created numerous Great Place to Work committees focusing on inclusion and diversity and performed productivity trainings. He chaired Bring Your Children to Work and AllProDads teams to support educational efforts. Brian previously served on the UWF National Alumni Association and UWF Foundation boards for over 20 years. Prior to his current role, he was the Executive Director of Escambia County Public Schools Foundation and the UWF Student Ambassador & Development Coordinator. Brian currently serves on the Board of Directors for Junior Achievement of Northwest Florida. Bruce Watson assumed the position of Executive Director of the Early Learning Coalition of Escambia County in 2012. He is the former Executive Director of Independence for the Blind of Northwest Florida. Bruce is also a career Naval Officer and Naval Aviator. Laura Gilliam, President/CEO of United Way of Escambia, has spent the last 21 years working in the nonprofit sector, 12 of those years within the United Way system. During her work at United Way of the River Cities in Huntington, West Virginia, she helped grow the VITA program, establish a substance abuse prevention partnership that engages 200 middle and high school youth, and expand an education coalition that focuses on early care and education and dropout prevention. United Way of the River Cities (UWRC) transitioned from a traditional model United Way to one that is actively engaged in community impact work and is seen in the community as a major convener around difficult issues such as crime and community safety, education, economic development, substance abuse, and most recently, race. Laura graduated from the University of North Carolina in Chapel Hill with a Bachelor of Science Degree in Business Administration. Retired Police Chief David Alexander III is a native of Pensacola, Florida. David attended public schools and college in Escambia County, Florida. He served the community for 32 years with law enforcement services. David continues to serve the community as a local pastor and community leader. Through community service, David mentors youth and works with citizens and community leaders to build trusting relationships. 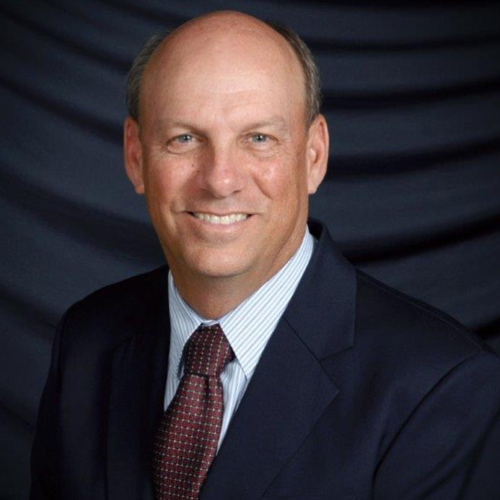 CEO, Baldwin Management Group, Inc.
Doug Baldwin, Sr. is an experienced business professional and Pensacola native. He is the CEO of Baldwin Management Group, Inc- the parent company of the Pensacola Improv Event Center. His impressive law enforcement career includes 35 years with the Pensacola Police Department and work with Florida's Domestic Security Task Force. Doug holds a Master's Degree in International Relations and a Bachelor's Degree in Criminal Justice. Doug has mentored many youth during his career, and believes deeply in promoting positive environments for our community’s children to thrive in. 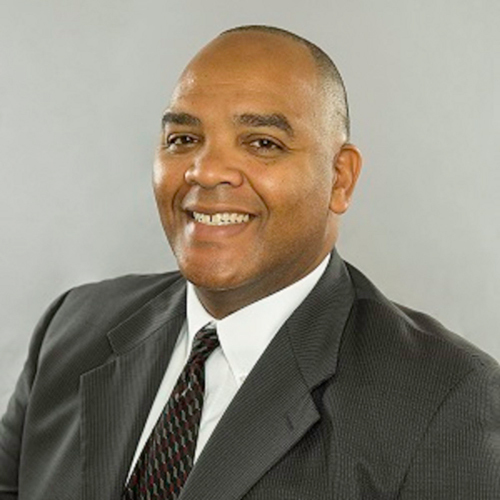 EXECUTIVE DIRECTOR, COMMUNITY ACTION PROGRAM COMMITTEE, INC.
Douglas Brown is an energetic, solutions-driven professional who excels at leveraging strategic alliances with a goal of increasing the quality of life for low-income citizens. 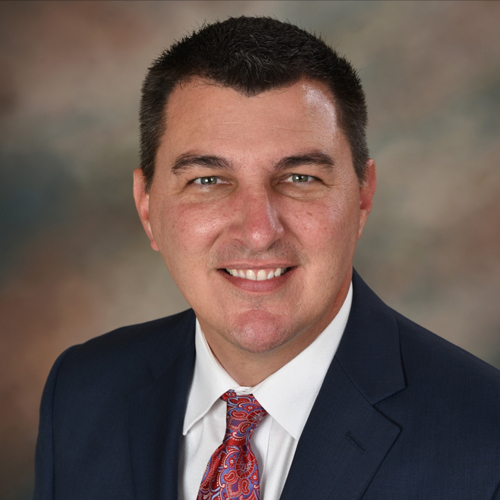 His proven experience in community development, banking, and housing, coupled with his talents in nonprofit management, have earned him the leadership role of Executive Director at the Escambia County-based Community Action Program Committee, Inc (CAPC). His career has included private-sector roles in Community Development Lending with Bank of America and Neighborhood Lending Partners. Doug's public-sector roles have included working for the City of Jacksonville and with the Jacksonville Housing Commission. Tyler Burns is an ordained pastor, international speaker, podcaster, and television show host. He was born and raised in Pensacola, and returned to the city after attending Liberty University to serve his local community. He has served as Youth Pastor of New Dimensions Christian Center for 9 years, mentoring and leading young people toward success. He is also the host of The Antidote, a national television show that was started in Pensacola, featuring the voices of young people from this area speaking about issues that are most important to them. Tyler is also the Vice President of The Witness: A Black Christian Collective, a national organization committed to addressing the core concerns of Black Christians; and the host of the Pass the Mic, an award-winning podcast designed to center the voices of Black Christians. He currently serves on the operating staff of The Justice Conference and has spoken nationally and internationally for the cause of justice for all humankind. Kara Cardona is Senior Vice President of Greater Pensacola Operations for Navy Federal Credit Union. She is responsible for the day-to-day operations of over 7,400 team members located on the Brian L. McDonnell campus in Pensacola. Kara has been with Navy Federal for over 18 years and has served in several different leadership roles during her Navy Federal career. Before assuming her current leadership role, Kara was the Vice President for Branch Operations where she led more than 1,800 team members in 150 branches located in the United States and overseas. Kara serves as a board member for Baptist Healthcare and First Place Partners Economic Development Organization. 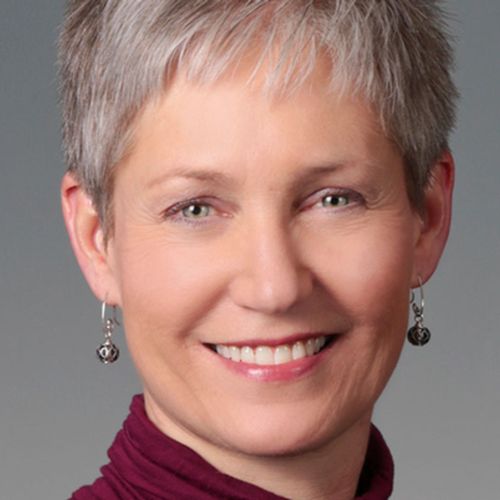 Carol Carlan is president of the Sacred Heart Foundation. Carol worked in the financial services industry for more than 35 years and served as the first female president of a large regional bank in the Florida Panhandle. In 2007, she formed Carlan Consulting LLC, a leadership development company.Carol is a graduate of Pensacola State College and the University of Florida School of Banking. She is known for her heart-felt commitment to education, business and social issues demonstrated by her involvement in guiding dozens of non-profit organizations throughout her career. Matthew Coughlin serves as the assistant administrator of Escambia County. Before joining the county in July 2017, Coughlin served as the assistant director of the Pensacola International Airport, where he was responsible for the daily management of the Small Hub FAA part 139 certified airport, with a $26 million budget. Prior to his time with the city, he had a successful 24-year career as a Naval officer and aviator. Donna Harper has taken her passion and advocacy for quality public education to local, state and national arenas. Donna serves on the Governance Board of the Florida Education Association, the Escambia Public Schools Foundation, and the Achieve Escambia council. She was chosen by the National Education Association to speak in a promotional ad for the presidential election for Hilary Clinton. Donna has been an advocate for public education all of her life. Once asked by a student, "When did you decide to become a teacher?" she responded, "I didn’t, I’ve always been a teacher." Henry Hawkins is the Mayor of the Town of Century, taking office in January 2017. He holds an Associate of Applied Science degree in Education and Training from the Community College of the Air Force (CCAF) in Montgomery, Alabama, and a Bachelor of Science in Liberal Arts from Excelsior College in Albany, New York. Mr. Hawkins is a former adjunct instructor at the Pensacola State College, Century campus- where he has prepared students to sit for the GED exam since 2008. He also served in the United States Air Force, where he was stationed at Tinker Air Force Base in Oklahoma City, Oklahoma for nearly 20 years. During his time in the United States Air Force, Mr. Hawkins focused on leading team exercises, group discussions, and assigning instructors to conduct training seminars. Mayor Hawkins is passionate about education and training others to achieve success in their chosen careers. Kimberly Krupa joined the Achieve Escambia team in July 2017. Kimberly brings more than 15 years’ experience in community and coalition building, fundraising, communications, nonprofit management, executive leadership and strategic planning. Her expertise centers on creating, coaching and leading proactive, high-performing teams using collective impact strategies: building movements, collectives and collaborations that actively create the conditions for change. Born and raised in New Jersey, Kimberly moved to Louisiana in 2002 and was actively involved in rebuilding New Orleans after Hurricane Katrina. Kimberly now lives in Pensacola with her husband, Dr. Jamin Wells, and their three children. Born and raised in Tennessee, Capt. Christopher T. Martin enlisted in the U.S. Navy in January 1984. Captain Martin has accumulated more than 3,000 hours and 400 carrier arrested landings. He has served on some of the US Navy’s most prestigious vessels including the USS John C. Stennis (CVN 74) for her maiden voyage around the world, the USS George Washington (CVN 73) and the USS John F. Kennedy (CV 67) participating in combat operations in support of Operation Southern Watch, and the USS Theodore Roosevelt (CVN 71) in support of Operation Iraqi Freedom in the Arabian Gulf. His career decorations include a Defense Meritorious Service Medal, Meritorious Service Medal, Strike/Flight Air Medal, three Navy and Marine Corps Commendation Medals, two Navy and Marine Corps Achievement Medals and various unit, campaign and service awards. Dr. Meadows became Pensacola State College's president on June 1, 2008. He served 17 years in the Alabama Community College System, 12 of those years as a president. He also worked 10 years in the Mississippi Community College System, as a faculty member, department chair, and campus dean. Dr. Meadows believes that optimizing current and future student enrollment and success in Pensacola State College programs leading to a career is dependent upon not only the individual efforts of the student but also upon the efforts and success of Achieve Escambia in helping create a synergistic environment among all community agencies, organizations, and institutions in support of that preparation. CEO, Global Business Solutions, Inc.
Randy Ramos is CEO, president and founder of Global Business Solutions, Inc. (GBSI), a Pensacola-based company that provides IT, cybersecurity and enterprise training to DOD, Government and Commercial companies. In 2010, Randy founded the Global Business Solutions Institute to provide humanitarian and Christian ministry services worldwide, enhancing the lives of those in need through cooperative education, training and support. Randy is president of the board of directors for the Pensacola Chapter of The Armed Forces Communications and Electronics Associationa a nonprofit association serving the military, government, industry, and academia as an ethical forum for advancing professional knowledge and relationships. Randy is an avid speaker on learning technologies and accelerating competencies in the competitive global economy. Ms. Rehberg spent the last 18 years of her career in community collaborative work and management of programs and services to families. The last ten years were spent as Executive Director of CareerSource North Florida, a six-county area east of Tallahassee. She is knowledgeable of resources and strategies to develop strategic plans, both on the community level for economic development and child/family success, and on the business level as companies staff their jobs. Her expertise in the workforce system brings value to business discussions at any phase of development, and her leadership experience is valuable to local and regional processes. Ms. Rehberg is a product of public schools, a native of South Georgia, and earned her Bachelor’s Degree in Organizational Leadership from LaGrange College in LaGrange, GA. Ms. Rehberg retired from full-time work in December of 2016, and rejoined Florida’s workforce system in December 2017. She is also a proud mom of two sons and “Gran Gran” to four grandchildren. Lloyd Reshard serves as CEO of Cognitive Big Data Systems Inc., a local award-winning technology startup that graduated from the City of Fort Walton Beach’s Venture Hive accelerator program. He’s also the President of Pivotal Data Technologies. In 2012, Reshard retired after 26 years with the Air Force Research Laboratory, where he managed one of the largest branches with 34 employees, and executed $250 million in programs in six years. Grover C. Robinson IV is a seventh-generation Pensacolan who grew up in Escambia County. Prior to taking office, Mayor Robinson served as Escambia County Commissioner from 2006-2018 and has an extensive history of service to the Pensacola community. Mayor Robinson has won awards for his community involvement and service including the Joe Oldmixon Service Award, the Presidential Advocate Award and Leadership Pensacola. He is actively involved with a large variety of community organizations and holds positions on Baptist Healthcare Foundation and Pensacola State College boards. Chip W. Simmons is the Chief Deputy with the Escambia County Sheriff’s Office. He previously served as Assistant County Administrator for Escambia County, and as Police Chief for the Pensacola Police Department before retiring from the Police Department in August 2015. He began his law enforcement career in 1984 as a corrections officer for the Escambia County Sheriff’s Office and was hired by the Pensacola Police Department as an officer in 1986. His assignments have included uniform patrol, investigations, narcotics and SWAT. Superintendent Thomas has led the Escambia County Schools to new levels of accountability and transparency since his election in November 2008. In 2011, Superintendent Thomas was selected Star Superintendent for school districts with less than 50,000 students and in 2013, he was bestowed the God in Government award. Superintendent Thomas supports the mission of Achieve Escambia because he understands that education is a critical element for all successful communities and that greater progress is achieved through the support and involvement of a diverse cadre of stakeholders. In addition to serving as the PTA President, Tori is a nurse who also works as a Community Health and Outreach representative for Humana. A native of Pensacola, she is married to Frederick W. Woods Jr. The couple has two children, Angel and Frederick. Tori is also involved with Junior League of Pensacola, adviser for HYPE Pensacola, a member of Krewe de Gateau, on the Healthy Start Baby Shower Committee, and United Way Day of Caring Committee. Ms. Wright has served as Director of Court Services for the 1st Circuit has been involved in the development and implementation of two adult drug courts, two parent drug courts, and model dependency court programs. She has served as a consultant for National Drug Court Institute, National Association of Drug Court Professionals, National Council of Juvenile and Family Court Judges, Justice Management Institute, American University and the Department of Justice. She graduated from the University of South Alabama with a Bachelor of Arts degree in Criminal Justice Administration. She currently serves on the Supreme Court Certification Board for Court Interpreters, the Supreme Court Steering Committee on Families and Children in the Court, the Trial Court Budget Commission, the Dependency Court Improvement Panel, the Community Alliance, and various other state and local boards and committees.